Don't have time to attend a workshop or sit in on a Webinar? Our Online Education Center allows you to choose from a variety of courses and to explore them at your own pace. 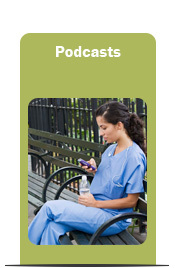 Our video education modules provide targeted information on a variety of Medicare topics. - Provider Outreach and Education Team holds a variety of workshops and seminars throughout Jurisdiction C. See if there's one coming to your area. Webinars are live, one-hour, interactive conferences that you can view online from the comfort of your own office. This is your opportunity to ask questions regarding Medicare issues that impact your company and receive answers from DME MAC Jurisdiction C subject matter experts. The primary function of the Advisory Group is to assist us in the creation, implementation, and review of provider education strategies and efforts. Webinars son en vivo, una hora de duración, conferencias interactivas que se pueden ver en línea desde la comodidad de su propia oficina. El taller será conducido en totalmente en Español. De una manera integral se enfocará en la Facturación a Medicare, los Requisitos Actuales de la Documentación. The primary function of the Advisory Group is to assist us in the creation, implementation, and review of provider education strategies and efforts. 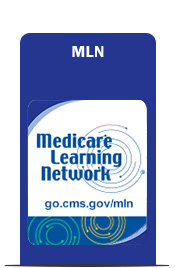 The CGS Community Coach Program (CCP) is unique to Medicare and provides an unparalleled level of education through collaboration with other MACs. This section provides information on national education conducted by the four DME MACs. Like us on Facebook and stay connected! Follow us on Twitter and stay connected! We offer many ways to earn continuing education credit. The way you claim your credit depends on the source of the education. Please check the instructions from each source below to learn how to claim your credit. A new interactive webinar format designed to allow you to get answers to policy-based questions directly from POE representatives who have the answers.